Andre D. Thomas 53, of Deerfield Beach Florida a retired employee of city of Boca Raton Florida. 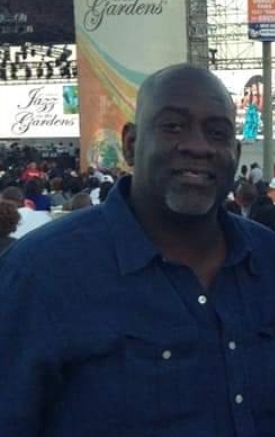 Funeral services for Mr Thomas will be held 2:00 pm Saturday Feb 2, 2019 at First Zion Missionary Baptist Church, Deerfield Beach. The family will have calling hours at The Impact Center Church Deerfield Beach from 6pm until 8pm on Friday Feb 1, 2019. Following funeral services a Christian Burial will be held at Pine View Cemetery, Deerfield Florida.